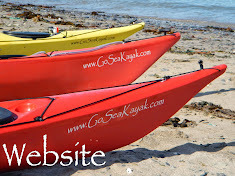 So, what does a kayak guide do when he's not working? Well he goes kayaking of course! Would be rude not to in such a beautiful part of the World. This post is Caldey Island seen from my point of view, a Pagan point of view though the word naturalist word probably work just as well. I hope my love of the natural World comes across in my images? 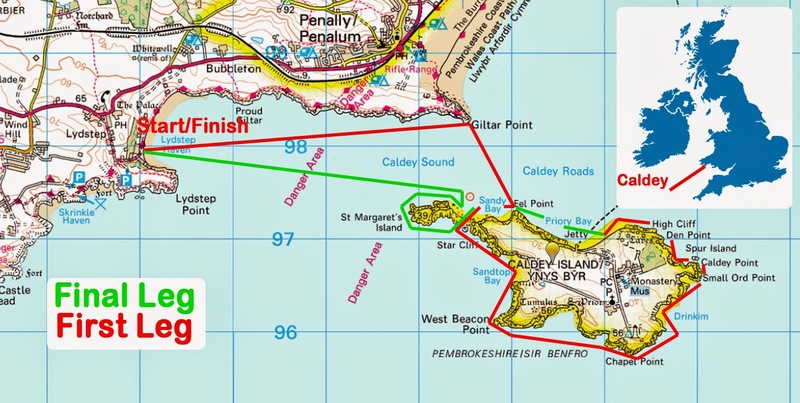 So the plan was simple'ish, paddle from Lydstep Have to Caldey taking in a full circumnavigation of Both Caldey & its sister island St Margret's. I did do I tidal plan but was keen to hit the water so just set off on a foul tide. To be fair the tide has little or no influence till I reach Giltar Point, then its a simple ferry glide across the currents which will be flowing West at a rate of 2.1 knots as I start the crossing. Looking at St Margret's, that'll have to wait till later. The geology here is breathtaking! The rocks on Caldey are a mix of Carboniferous limestone & Old Red Sandstone. The dramatic coastline lends itself beautifully to exploring the gullies & playing with the swells as the sea breathes. Sea stacks are common along the limestone cliffs. to see that it has another entrance. My first beach, sandtop Bay. Where I take the opportunity to look around. Then onwards along the now sandstone cliffs as I pass West Beacon Point & enter the South of the island. I weave in & out of the rocks as I explore the coastline much more intimately then any other mariner is able. And to my joy the locals come & check me out, playing hide & seek in their watery home. The tourist seem just as interested in me? My camera is working hard as I'm in awe of the rock formations. And forever in love with the wildlife. Time for another walkabout at Drinkim. Fossilised waves on a rock that would have formed the bed of an ancient lake many moons ago. Back underway & I soon reach Spur Island. I choose to shoot through the gap that has a little tide spilling through. Of all of the coast of Caldey this area for me has a wonderful serenity about it. I take time to appreciate the Beadlet Anemones. And the cluster of Mussles. And the beauty of transitions as land, sky & sea meet. Before long Tenby comes into view. These unusual indents catch my eye as they look to be man made presumably for the nesting birds, though only a handful are in residence? They may be natural, I'll have to ask the Monks on my next visit. Another photo as I reach Priory Bay. And a very beautiful view of Tenby, not to mention the iconic Valley Nordkapp that I'm paddling. I push on to Sandy Bay & spot a lovely fossil nestling in the cliff. I draw my eyes from the rocks to look at St Margret's Island, my next destination. And arriving there I cant help but be captivated by the stunning geology that has an austere & foreboding presence to it. The island itself is made from limestone so yet again caves present themselves for exploration. And had an impressive arch standing sentinel at its entrance. Once in the cave there was a couple of ways out as well as an antechamber that was a little to shallow to explore. I continue on with my circumnavigation marvelling at the puckered rock formations & nesting Kitiwakes as I go. Well I hope this has inspired you & shown you the stunning beauty of South Pembrokeshire? Why not book a trip with me yourself, it'll be an experience you won't forget! Your pictures (and a story line) are amazing!